Wait for a train on any English platform for long enough, and you will see them: the train spotters. They stand, usually in clothes which are utilitarian rather than the height of current fashion, waiting voraciously to devour each new number as it arrives at the platform. Romanced by the figures billeted on every train, they wait for each train’s identity and slot it, lovingly, with endless care, into their notebooks. It is a singular occupation which affords incredible pleasure to its prectitioners, though the rest of the world looks on, at best with baffled affection, at worst with puzzlement. They are their own kind of icon. I am told there are equivalent collectors outside the world of numbers. They live here: for like bad weather, Britain has collected settlers and languages for millennia, and it is on this little set of islands that the tides of Roman, Celtic, Anglo Saxon and Old Norse crashed together to create the perfect storm. I speak, of course, of the Toponymists. Those who collect not numbers, but place names. Our place names here have a sort of code. You can begin to read it, if you but know how. Many old English words have retained their meaning. And there they sit,suffixes which say the same things they always have. Clif, comb, ende, forde, lande, sande, thorn: they tell us what that place has always been percieved as. So Guildford- thought to be the original Shalot – was a ford across the River Wey, and its guild the golden sand which lined its banks. And Mudeford was the ford over the River Mude, in Christchurch, Dorset. Like computer coding, knowledge of a few snatches of old English can help: tun means farm, or town; haga means hedge; burg – or bury– means fort. dün is hill, or down, and ëg ( which later becomes ey, as in Molesey or Witney) is island. The Celtic names have their own rules. Like the Welsh llan, which seems to be attached to Welsh places with a church. And the Norman ones exude French, so that Beaulieu is simply “beautiful place”. But if it were that simple, I wonder if people would bother collecting at all. Equipped with an idiot’s guide it is possible to hazard guesses at what a place name might mean, but the hard-core toponymist must have more up his or her sleeve than that. Then there’s the Anglo Saxon Chronicle, and of course that encyclopaedic Domesday Book, though the latter’s scribes were French-speaking Normans and had a few problems with place names. And like train spotters and their classes of locomotive, toponymists have their classes too. Some concentrate on ones from a particular language – Sacandanavian names in Scotland, for example – others focus on one county or region. Still others choose a theme – names linked to sheep, for instance, like Shipton, Skipton and Shepton; and here are purists who choose a feature like street-names or field-names to study. Just writing about it makes me itch to take out a little notebook, and a map, and begin. I wonder if it does the same for you? Posted in WhimsyTagged maps, place names, toponymyBookmark the permalink. Understatement has always suited me well, Roger. It makes me chuckle. The train spotters are likely “Observers” from an alternate universe. Hanging out on the fringe. I love thinking about the history of place names, Kate. I like their actual meanings as well, but I like to break them down in parts to create my own little history for them. And I love the map you have added for the image. The line “The Air is sweet, the Soil rich, abounding in Corn Cattle Fish Fowls and Wool” literally jumped out at me! 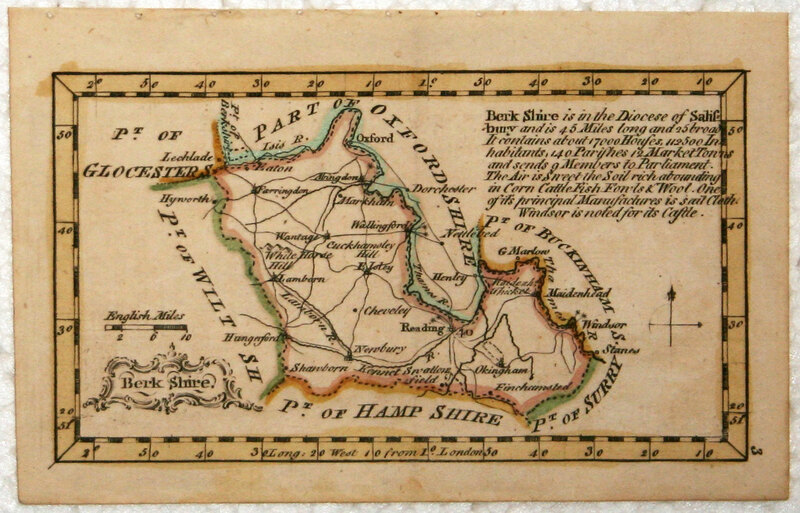 It’s a pity we don’t get maps nowadays with things like that on them… or maybe I’m just looking at the wrong maps! I remember as a child I had a little book – i think the i-Spy series – for train spotting to check off trains I saw.. and they were all listed by engine number… I recall giving up pretty quickly! I remember I-spies, wonderful things. I wonder if they had a place-names one? In addition to name collectors and train spotters, there are folks like my dad who collect Ham Radio Call Signs from around the globe. Train spotting. Doesn’t sound like something I’d get into, but it would be a tough hobby to pursue in the western US. Fewer and fewer trains out here. Here is is still burgeoning, PT, and at one of our big stations it is possibel to have a very varied day out. Of course, everything is closer together here. I’ve noticed bus spotters at various bus stops from time to time, Kate, but I can’t say standing at a corner waiting for an M79 to appear strikes me as a very romantic way to earn a living. Plus they’re outdoors all day and inhaling all that NYC soot. Cough. Hello Kate, yet another posting (amongst so many) that resonated with me ~ have always loved words, period, but especially fascinated by English place names in particular. Word origins of all sorts are compelling~ whether places or even surnames, just as are maps ~ from the delightful ones as book end-papers that one used to see so often, to ordinance survey maps and the very ancient ~ wonderful to pore over and daydream upon.. Thank you for yet another very fine post. Thanks for coming along and reading, as always, Valkrye. 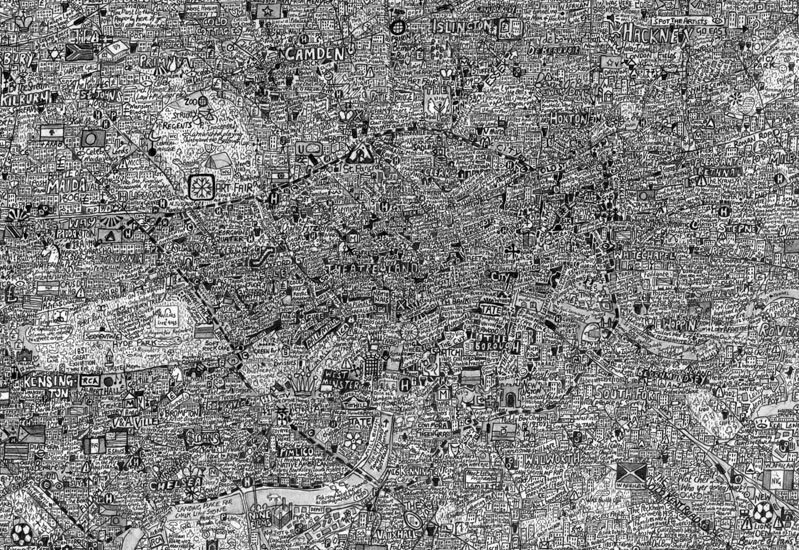 I love a good old map – and there are some amazing ones about, aren’t there? I’ve gone down many a rabbit hole with place names. It is a borderline sickness of mine, actually. Ah, a true Name Collector. I do love it when name collectors come in from the cold. Wow, Banno, that collection I would love to see! How could we help getting totally absorbed with it! Debra, publish, publish!! There’s many a name-collector here would do much to see your results, and compare your name evolution with ours…. I suppose when one considers how very little human beings do which actually makes much sense, these activities are as sane as any others. Or, maybe, not quite. Except that excessive obsessive is a clear sign of being dotty? Another stimulating post, Kate; how do you do it! Placename studies are fascinating, and as a discipline have been indulged in since time immemorial. Some of Bede’s explanations however are a good example of what’s called ‘folk etymology’, the belief that placenames can be explained by a kind of pick’n’mix process. A confusing name? Break it up into components in languages you happen to know and attach a legend to account for such an odd combination of linguistic elements. Sometimes the concoction was mischievous. Geoffrey of Monmouth accounted for the name Leicester by claiming a derivation from Leir, whom we know as King Lear. Of course it’s nothing of the sort. The scientific study of names is onomastics. Like all sciences it evolves according to new data, new understanding and further study, so it’s no use relying solely on Victorian worthies as ultimate authorities. Toponymists these days each need to be a combination of historian, linguist, archaeologist and archivist, in fact a bit of a polymath. Speaking as a non-polymath I’d trust them more than any venerable speculative antiquarian. But I wouldn’t dismiss the antiquarian out of hand! The job description sounds a very attractive one, Chris. Imagine being able to spend one’s days using all those disciplines in pursuit of a name. Wonderful. LoL at this one Kate – we all collect don’t we 🙂 Unfortunately sniping at other collectors of perceived ‘lesser’ items is the norm. It’s a form of discrimitaion isn’t it… I’m happy to put my hand up as train spotter though I doubt if many of the people reading this will understand, or take the effort to understand, just how deep and varied an activity that is! My husband and mother in law are just as infatuated with trains, and though I do not have the same fascination with numbers I have caught the love of locomotives, as you will probably have guessed. Your blog tends to be viewed by about three or four people from my household, not just me. Perhaps my readers should take a look at 2e0mca.wordpress.com, because it gives a wonderful flavour of the absorbing variety of our railways. I will definitely see if I can find a copy of this as pre/post Roman Britain are of interest to me. I might be one of these. I love place names, though I don’t collect them with any rule or organization. I also love the connection to language, which your English names apparently have in spades. Here I love best the native names which have survived. For instance, less than an hour from here, in a town which takes its name I’m sure from some British settler’s homesickness or surname, is Webster. And in Webster sits a lake which is still known by locals as Lake Chargoggagoggmanchauggagoggchaubunagungamaugg (seriously, people have informal – and perhaps drunken – spelling contests to prove they know how to speak and spell it), which has a hotly debated native history and meaning. Is it Nipmuc or Manchaug? Does it mean ‘boundary fishing place’,”fishing place at the boundary” or “that which is a divided island lake?” One teacher of mine told us it meant, “You fish on your side, I’ll fish on mine.” My personal favorite, that.